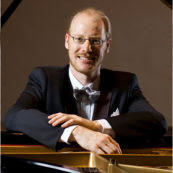 Pianist to Perform Concerts & Recitals: Noted pianist and Albuquerque native Elias-Axel Pettersson will perform a series of concerts and recitals during his annual return to the Land of Enchantment. In 2008, Mr. Pettersson formed Duo Giocoso with French violinist Roland Arnassalon. Their first album, released in 2011, features works by Beethoven, Janáček, and Franck. Mr. Pettersson has also collaborated with violinists David Felberg, Guillaume Tardif, Nune Melikyan, violist Henk Guittart, and Cantor Josh Perlman. Mr. Pettersson’s doctoral thesis on Musorgsky’s Pictures at an Exhibition is the foundation for a publication and performance edition. Mr. Pettersson has released two solo albums: a CD with works by Bach, Beethoven, Chopin, Janáček, Musorgsky, and Scriabin (2007); Momentum (2010) featuring Liszt, Schubert, and Vine. "Pettersson is one of those rare musicians who can project his ideas from piano directly into the hearts and minds of his audience. He possesses formidable technique and the marks of a genuine artist." Just to nail this down, here is some audial and visual evidence, an excerpt from Mr Pettersson's final doctoral recital on September 21, 2011 in Salle Claude-Champagne (Université de Montréal). Hi Axel. When are you going to be performing in Montreal?